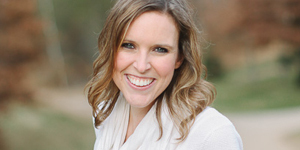 This entry was posted in Food + Recipes, Motherhood, Raising Kids. It’s no secret that I don’t really like to cook. Baking is a different story. Too bad you can’t live off of cookies and cake; I’d be set. With Matt in an MBA program on top of working full time, I’ve taken over the family cooking chore. I have not learned to love it, but we are eating more than ramen so I’m happy. It’s also no secret that I’m frugal. So when Raleigh started eating solid foods, it became apparent how quick he could rack up a big food bill if we kept buying premade baby food from the store. I decided to try my hand at making some baby food for him; my main motivation being to save money. 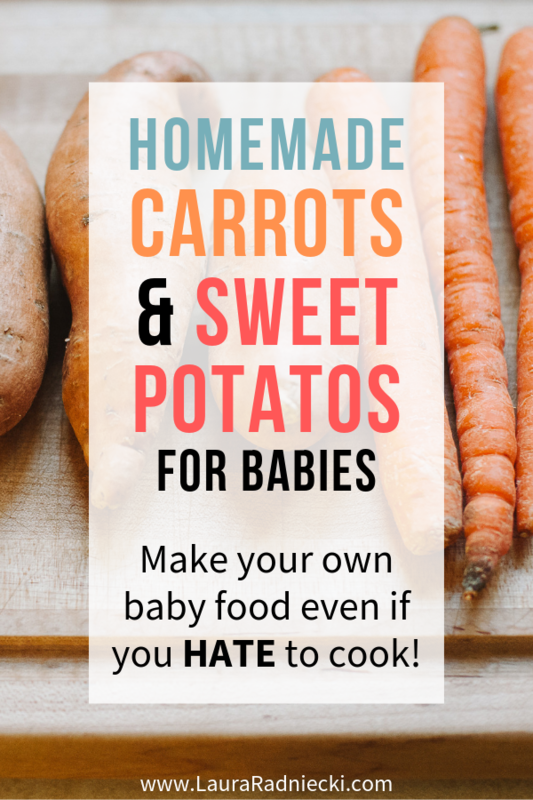 Lots of people make their own baby food so they know what’s in the food they’re feeding their babies, but that’s more of a positive side effect to me. 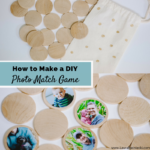 I wanted to see how hard it was to do and I wanted to save us some money in the process. 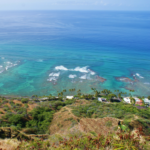 The main resource I used in researching and making the food was Wholesome Baby Food. 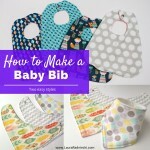 The whole site is dedicated to homemade baby food recipes, information and tips. I know I’ll be going back to that site as I make and freeze more foods. 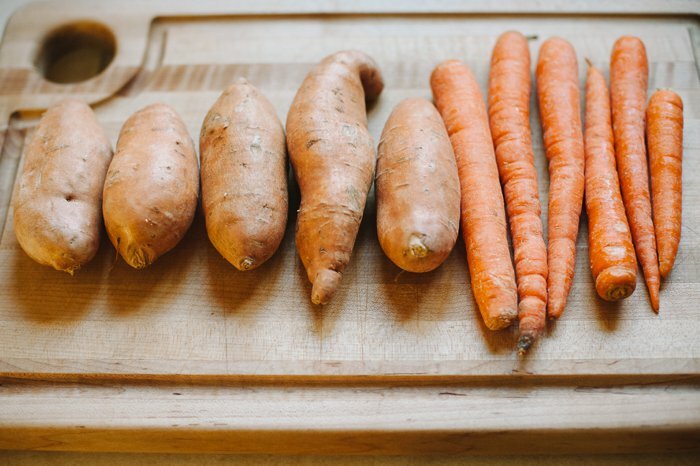 I decided to start with something easy that I know Raleigh would like: carrots and sweet potatoes. I bought a bag of regular carrots from Aldi. 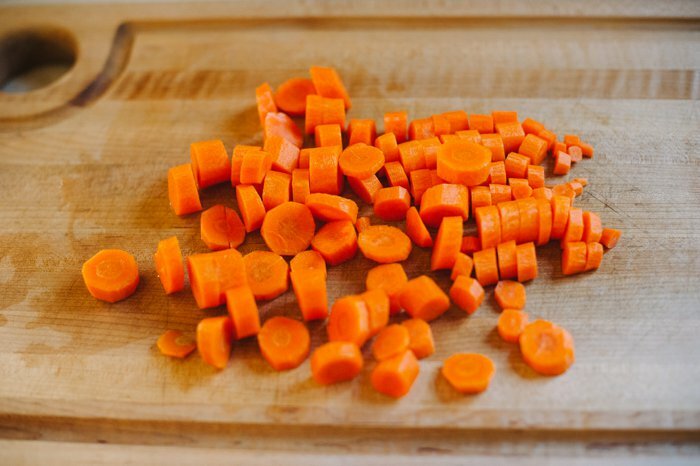 My plan was to steam the carrots in our rice cooker, use our Ninja food processor to puree them and then freeze them in individual portions. 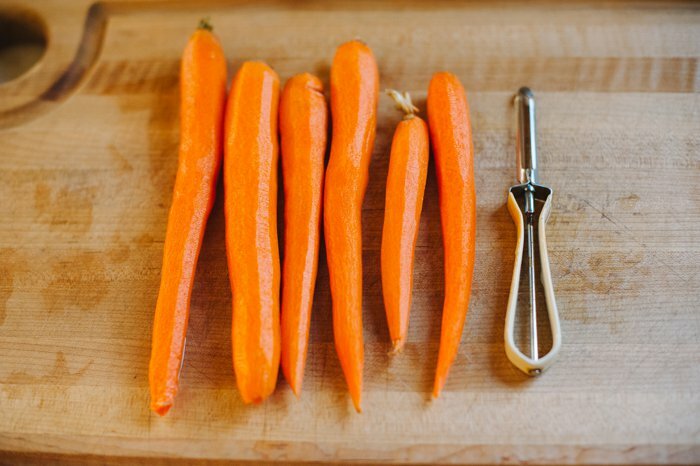 Here is the step by step process of how I made pureed baby food carrots for Raleigh. Step 1. 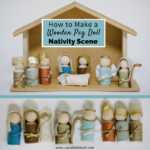 Peel the carrots. Step 2. Chop the carrots. Step 3. Steam the carrots. Step 4. 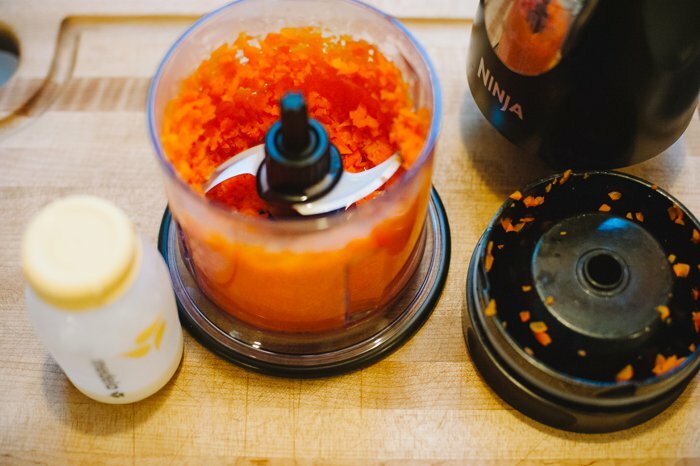 Puree the carrots in the food processor. Step 5. Add breastmilk to thin the carrots out. You can use water or formula to thin the carrots out too if you prefer. The carrots were very dry so they required quite a bit of liquid to get them to the thin consistency I was looking for. Step 6. 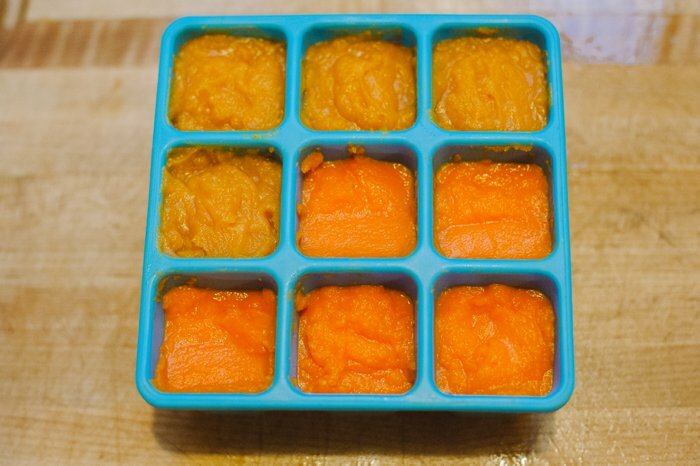 Scoop pureed carrots into freezer containers. The bottom 5 slots that are dark orange are the carrots. 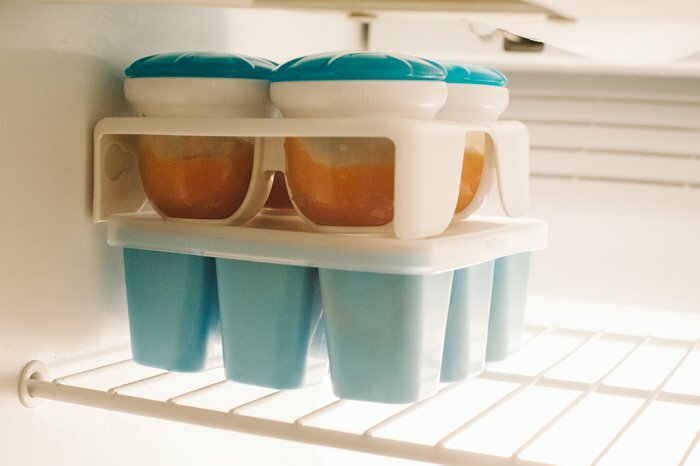 There are many methods out there for freezing baby food. 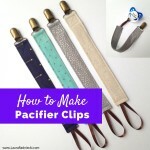 I used a variety of them, which I plan to do a more comprehensive post on soon. I put some of them in the Nuby Garden Fresh Freezer Tray pictured above, which is a flexible plastic container with 9 compartments. Once the food is frozen, the pliable material makes it easy to pop the cubes out so you can store them in ziploc bags in the freezer. 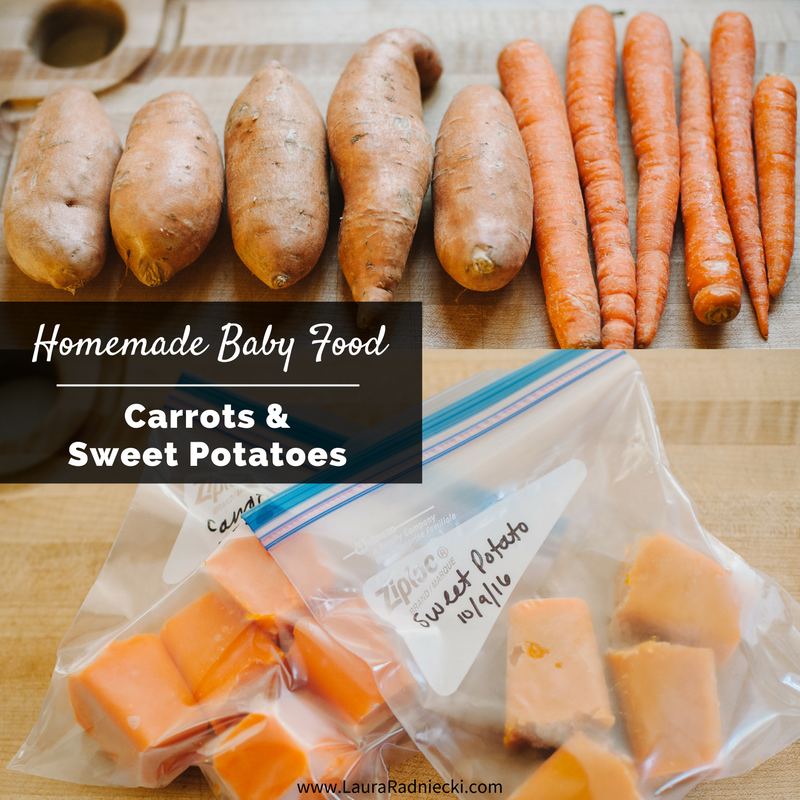 I also used small silicone baby food containers [see photo of sweet potatoes below] and I froze some food on a cookie sheet lined with parchment paper and transferred them to containers once they were frozen. All of these methods worked fine. I followed a similar process for the sweet potatoes, but I baked them in the oven instead of steaming them. 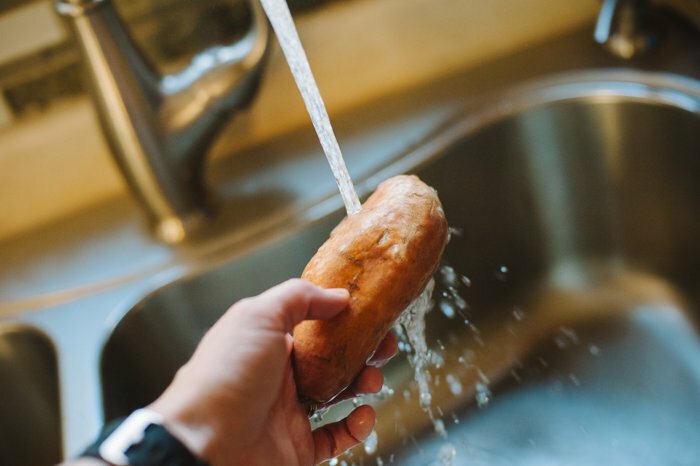 Step 1: Wash sweet potatoes. 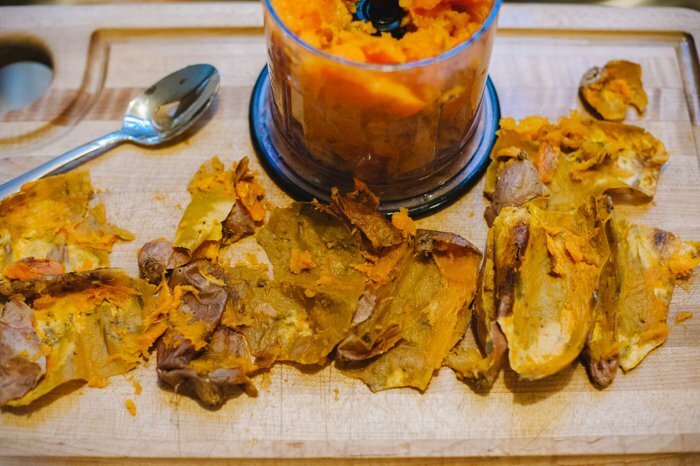 Step 2: Poke holes into sweet potatoes with a fork. 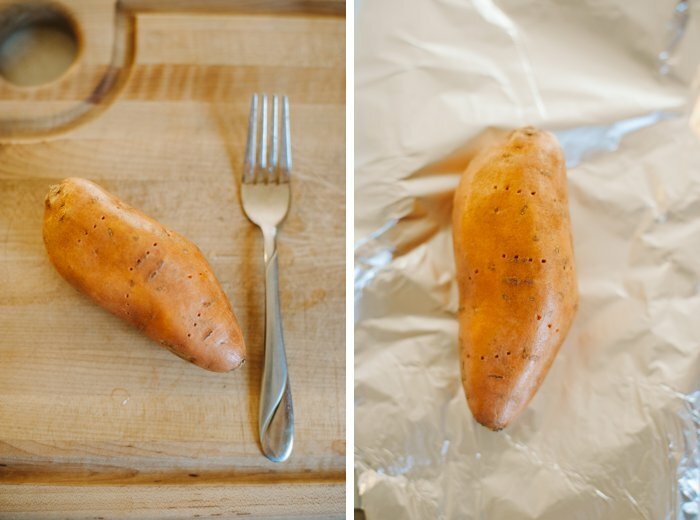 Step 3: Wrap sweet potatoes in aluminum foil. Step 4. Bake in 400 degree oven for 45 minutes. I started with 30 minutes and the potatoes were not soft enough yet. So I did 15 more minutes and they were very soft by then. Step 5. 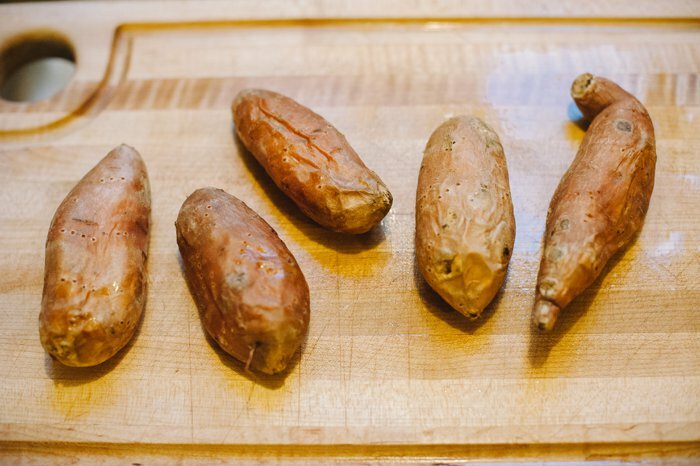 Let cool and unwrap sweet potatoes. Step 6. 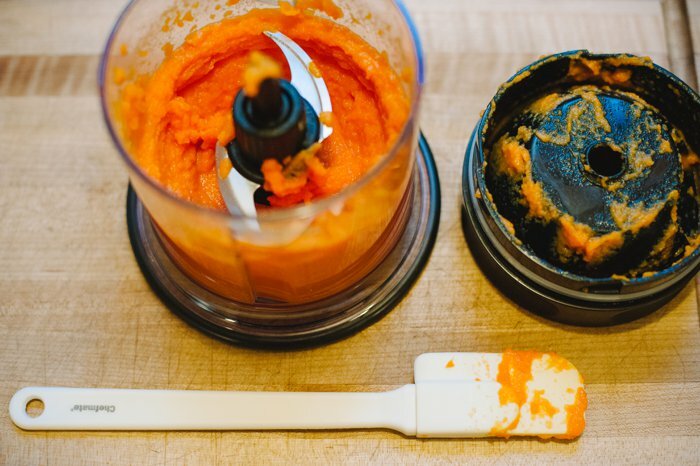 Cut sweet potatoes in half and scoop insides into food processor. Step 7. 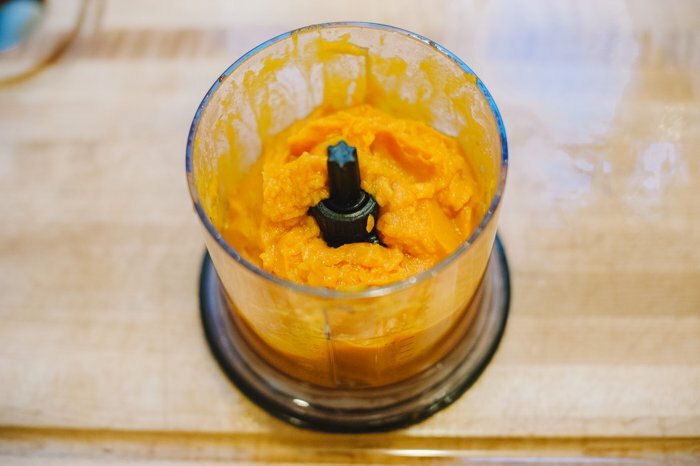 Puree sweet potatoes. Step 8. 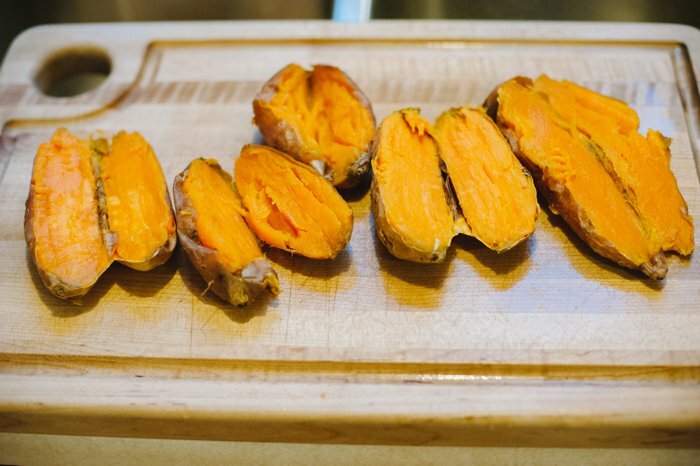 Add breastmilk to thin out the sweet potatoes if desired. I didn’t need to add much breastmilk to get these to the consistency I was looking for. They have a lot more moisture in them naturally. Step 9. 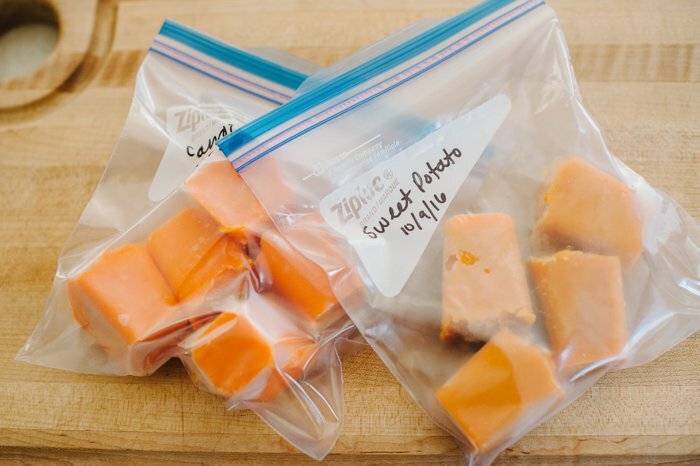 Scoop pureed sweet potatoes into freezer containers. I used the same methods for freezing the puree that I mentioned above. Once everything was frozen solid, I popped the cubes loose and put them into a labeled ziploc freezer bag with the name and date on them. 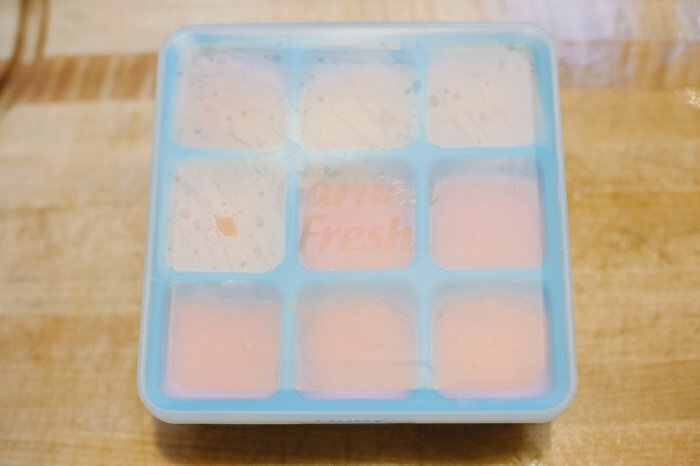 When it is time to eat, it’s super easy to take a frozen cube from the freezer and defrost it in the microwave. We have found that in the small plastic kid bowls we have from Ikea, heating the food for 1 minute on 60% power in our microwave gets the food warm enough but not hot. If it happens to make it too hot, stirring an ice cube around in the food for a few seconds and then taking the ice out cools it down quickly and easily. Another way is to take out what you need from the freezer the night before and let it thaw in the refrigerator that way. Then you only have to heat it for a few seconds in the microwave just to take the chill off. 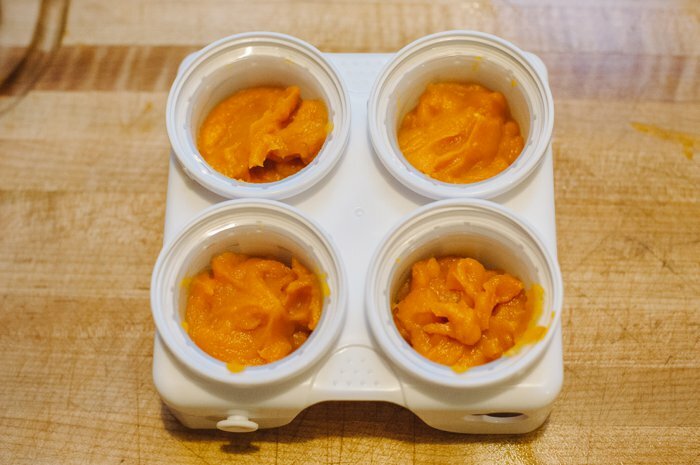 I actually had a lot of fun making these homemade baby food purees for Raleigh! Since I don’t usually enjoy cooking, I was skeptical whether I’d like doing it or not. I figured I’d give it a shot and then if I hated doing it, we could go back to buying baby food at the store. 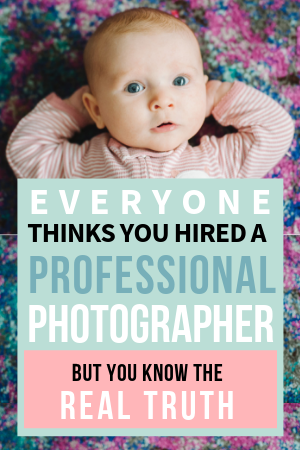 I’m not exactly sure why [maybe because it’s really easy and there’s something satisfying about having a freezer stockpile of food for your baby] but I really enjoyed the process! My plan is to make some large batches of a variety of foods and freeze them to build up a supply. Then, I’ll be able to make some new foods every few weeks and keep the freezer stocked!